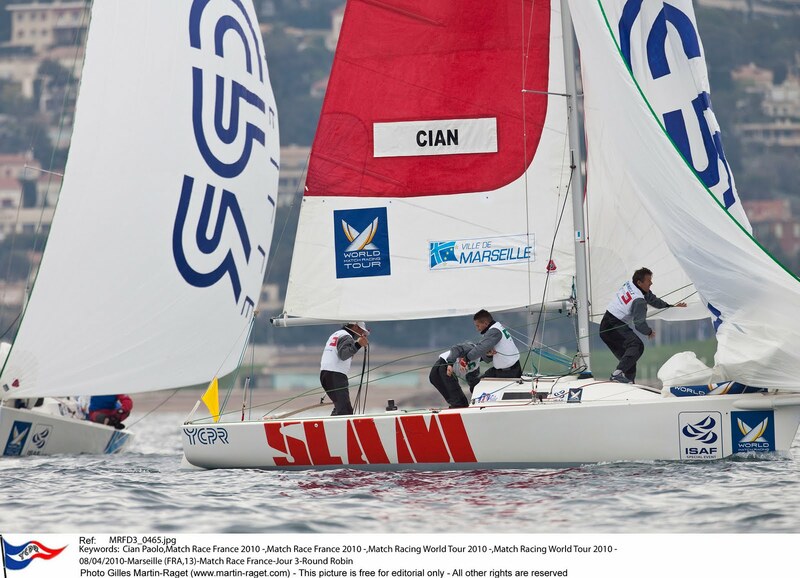 Day Two of the World Match Racing Tour (WMRT) in Marseille has produced a range of results that has highlighted not only match racing experience but also local knowledge as top running variables that can make or break a professional sailing series. After a slow start to the morning with racing postponed, the sailors were let out onto the race course as the wind clocked in from the North West at 4 to 8 knots for the remainder of the day. 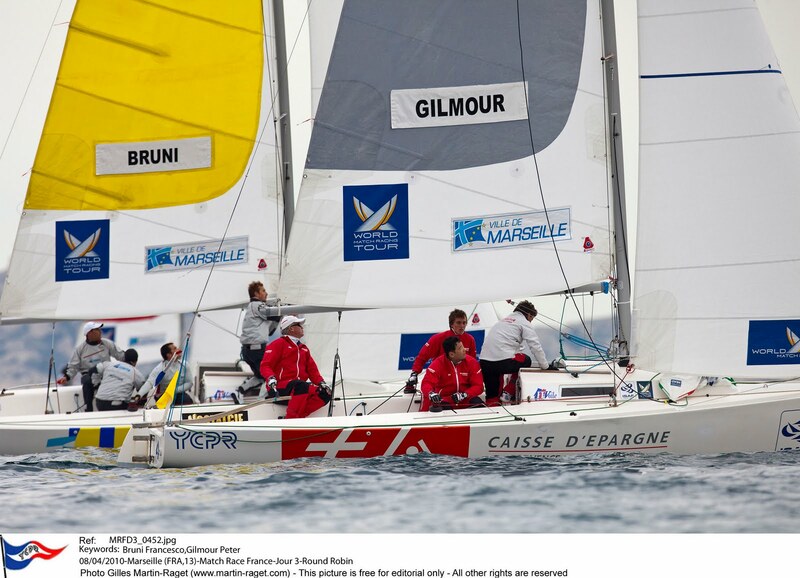 Racing again in the Bay of Marseille was moved very close in-shore with excellent spectator appeal to the 'Rade Sud'. Ben Ainslie (GBR) TEAMORIGIN and Torvar Mirsky (AUS) Mirsky Racing Team are still both on top of the WMRT leader board after today with 11 flights now completed overall. 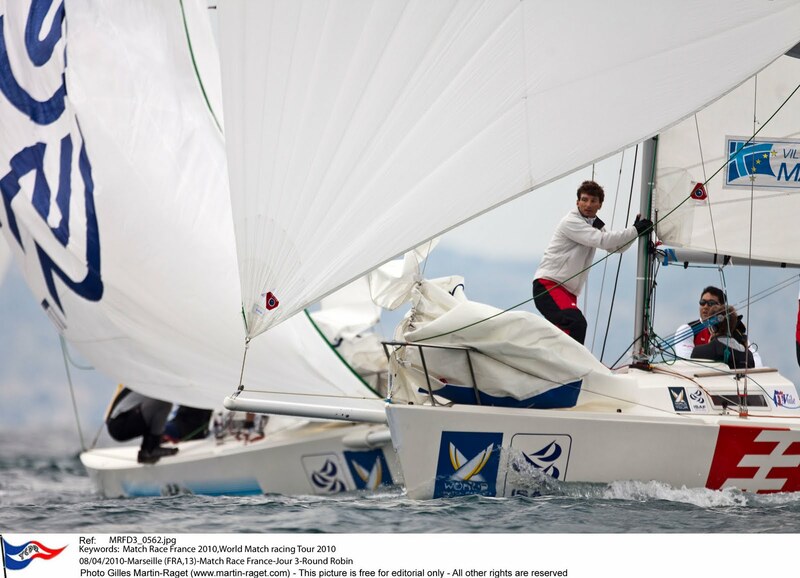 Ainslie has more wins than any other helm so far this week with a current score of 5-1. This leads us into the scenario of 'local knowledge' being a serious variable to win races at this venue. Local knowledge is a phenomenon respected the world over by the sailing fraternity. The indigenous racers revel in understanding that they have decades of tales fed in at an early age on which way to go up the all important first beat or if the rain clouds suddenly disperse and the islands appear, as happened today, then the trend is for the wind to always swing to a particular angle. 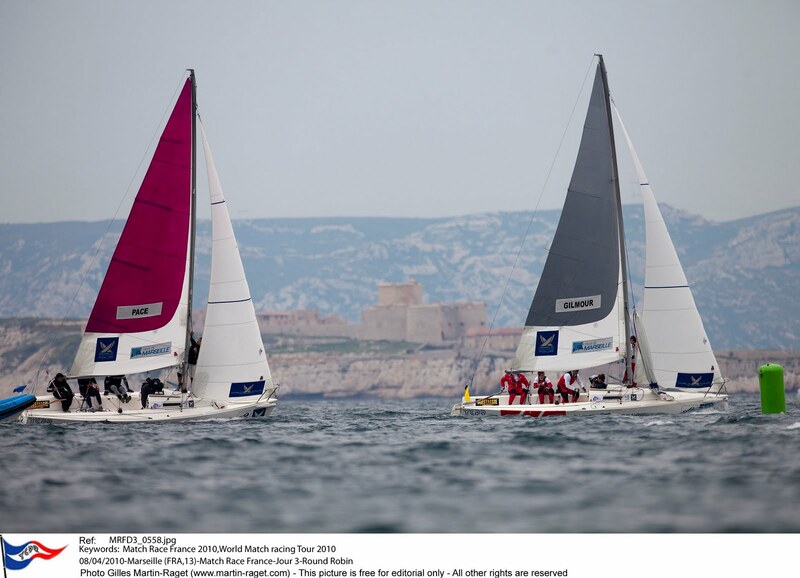 However, the Bay of Marseille has no clear answers, even French national sailors have been experiencing the woes of highly testing conditions. 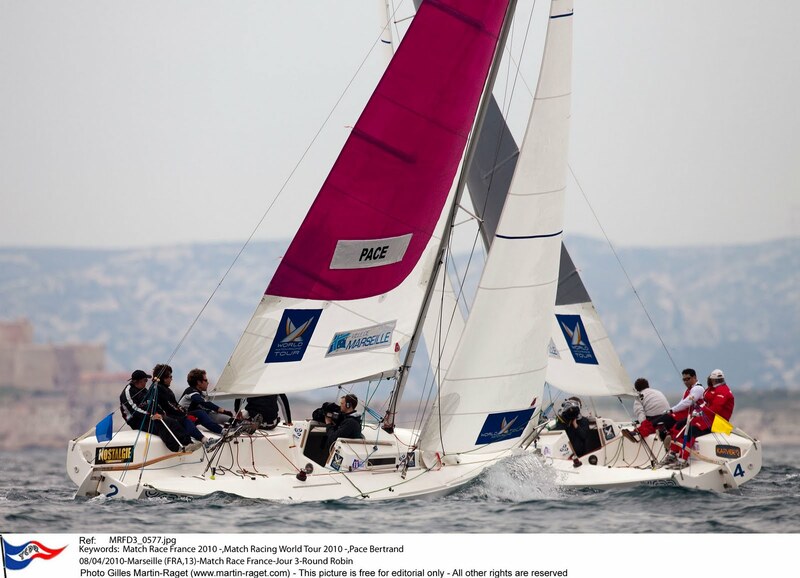 Pace, a previous ISAF Match Racing World Champion who has returned to the WMRT action, after a 5 year absence, is not shining in these Mediterranean style winds. Perris our newest match racing star from yesterday has also unfortunately awoken from his 'dream' with no victorious matches today.